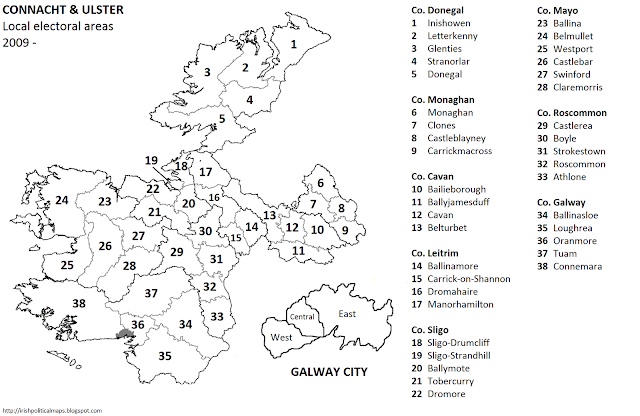 Local elections are held every five years in Ireland, in tandem with the EU Parliament elections. 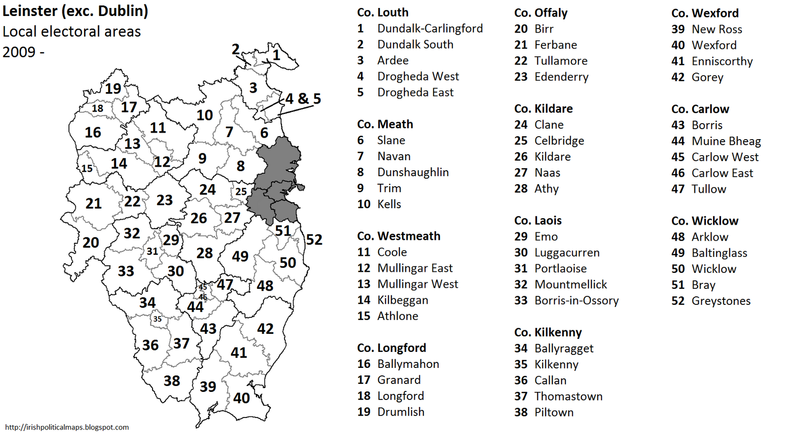 The most recent local election to take place was the 2009 local election, which saw the main Opposition party Fine Gael surge ahead of an increasingly unpopular Fianna Fáil - a portent of things to come in the general election just two years later. 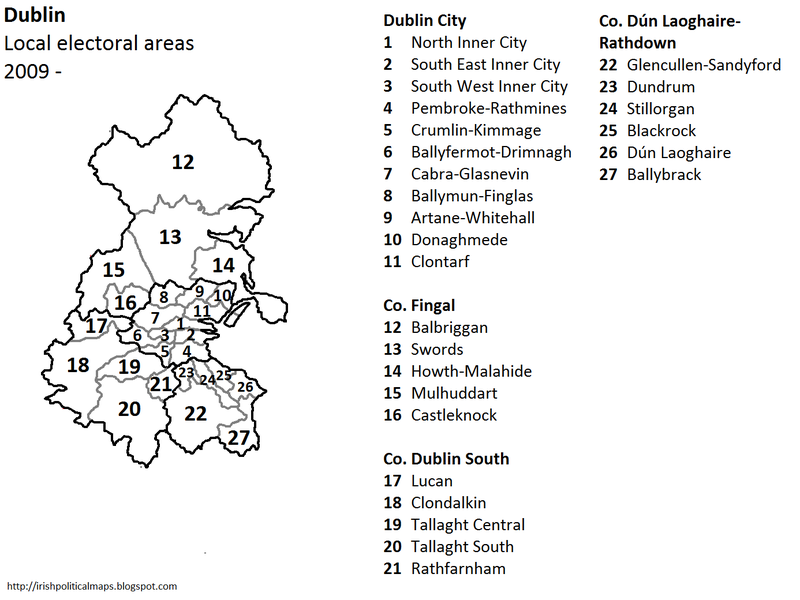 In total, there are 1,627 seats in Irish local government. Of that number, 753 seats come across thirty county councils. 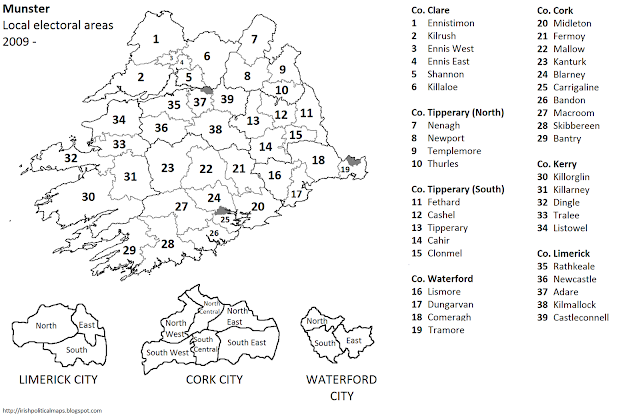 Most county councils align exactly with their relevant counties, though there are some exceptions. 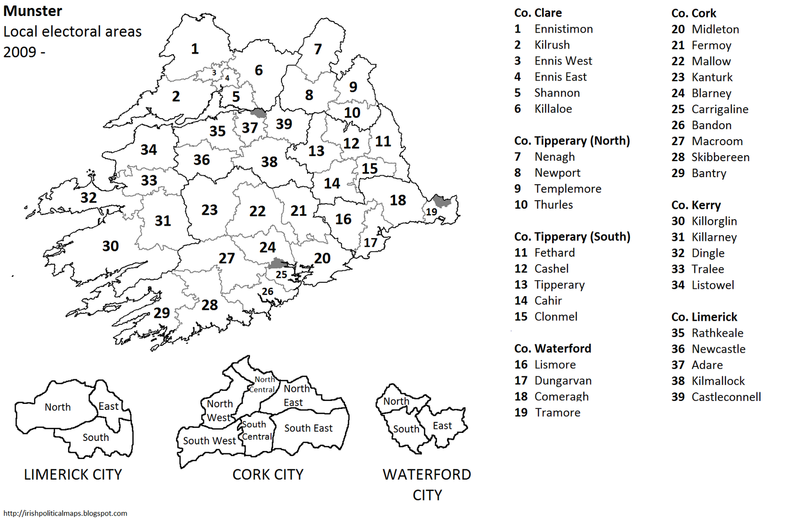 Tipperary has two councils, one for each of its ridings. Dublin, meanwhile, has not existed as an administrative county since 1994, when it was divided between the new counties of Fingal, South Dublin and Dún Laoghaire-Rathdown, as well as Dublin City, which along with Cork, Waterford, Limerick and Galway is run by a city council. Between them they boast 130 seats. 744 more local councillor seats are divided between borough and town councils, which are scattered throughout the state. 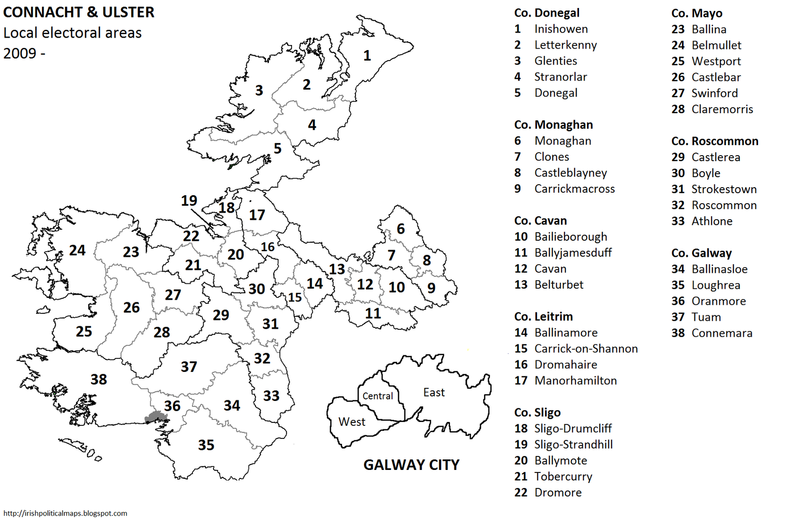 As with the constituencies used in general elections, the names and boundaries of the local electoral areas are subject to review and change in the run-up to each local election. The maps below show the LEA's in their current state, as they were used in the 2009 election. Information on borough and town councils to follow.